First off, how come no game has had that name before? It is such a sincere concept that has the ability to wield over-arching prophecies and give a sense of purpose. This is a game where Bungie presents us an opportunity to simply ‘Become Legend’, this simplicity of meaning is what Destiny stands for, although is is truly a complex game, for the general audience it has been communicated as being what people want it to be: a shooter, a co-op romp, a foray into connected console gaming. There is not a single reason for why Destiny is already the most successful game this year. It is not only the fact that it’s a fresh intellectual property, it is also gorgeous to look at, and fluid in its gameplay while being just complex as an RPG. It is essentially an everyman game: heavily polished, with inter-galactic trappings, featuring Peter Dinklage. In a time when people are cynical about cross-generational games, Destiny proves to be both a fitting conclusion to the last gen and an inspiring introduction to the current. The release time for Destiny couldn’t have been more appropriate as well, with July-August being uneventful in terms of major releases. Even the major first party console support from Sony and Microsoft is not expected until late 2014 or early 2015. The stature of Destiny is such that Sony secured exclusive marketing rights for it in Europe treating it almost like a first party title in that region. Moreover, this incited innovative marketing reactions (link destinyfragrance.com) from Microsoft who could not just sit there and do nothing to cash-in on the Destiny hype. Destiny’s ambitions seem unmatched, the scale unparalleled and the hype uncontainable. Games like this, come by once in a console generation, they are unconcerned with preview reactions and unfazed by review scores. Destiny‘s release reminds of old times wherein as long as a game was good and was accompanied by appropriate marketing-speak, it would sell. People are unconcerned with if it is always online, they don’t care if it may be unbalanced, and they aren’t worried if it is short on content as long as they get to be part of the Destiny moment. As expected, the Bungie.net forums are bustling with suggestions for balances, bugs and beards. Destiny is often compared to an MMO, an intimidating category for the console gamer. But arguably, Destiny is not your traditional MMO, it is born as an entirely new genre that Bungie feels the need to legitimize without inducing the over-bearing heftiness of an MMO. Moreover, with the ongoing shift in momentum towards the Independent and crowd-funded projects that are seeking to sway the readily nostalgic audience, it is the developers like Bungie that seem to have taken it upon themselves to not let the AAA phase out. But in retrospect inspire them to become legend. 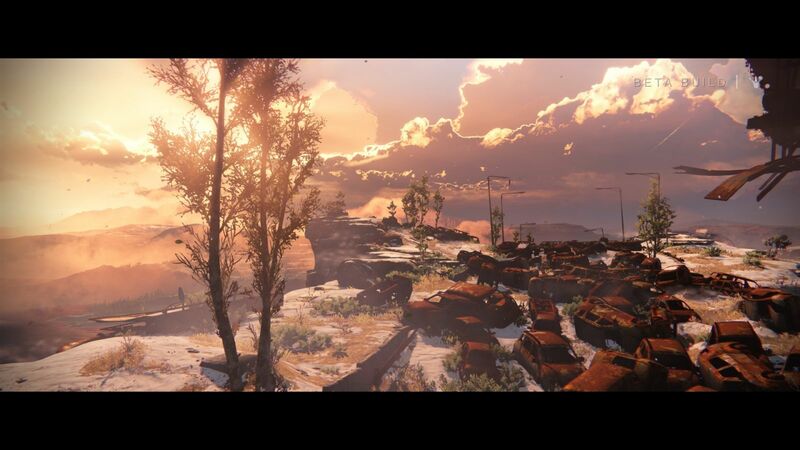 Destiny was released on September 9th for the PS3, PS4, Xbox 360 and Xbox One.